In Romania, a translation of Farby wodne ("Watercolours") was published. The book was translated by Cristina Godun. The publication of the reportage by Lidia Ostałowska was supported by the Book Institute as part of the ©POLAND Translation Programme. Acuarele, which is the title of the Romanian edition of Watercolours, was published in 2017 by the Ratio et Revelatio publishing house in Oradea. Farby wodne is a study of the complexity of heritage created in inhuman conditions. It is also an attempt to capture what Roma identity is and where the fate of an individual ends and the annihilation of a nation begins. Dina Gottliebova, a Jewish girl from Brno, a student of the Academy of Fine Arts, sent to Auschwitz-Birkenau in 1943, is to paint numbers on the barracks, but it turns out that a portraitist is needed more. Dr. Mengele examines ‘Gypsy cross-breeds’, and the shades of eyes and skin will be more distinctive in watercolour. In 1942, the youngest child dies in the family of a railwayman from Oświęcim. Three days after the liberation of Auschwitz, his son goes to the camp to get an orphan who would replace his desperate mother's lost daughter. He chooses a little girl, a Hungarian Jewish girl named Ewa. A prisoner gives him a gift of watercolour paintings that lie around the barracks. In 1963, the Auschwitz-Birkenau Museum buys the paintings back from Ewa. A few years later, the creator of the paintings is found. Dina Gottliebova lives in the United States, and she is the wife of the famous Disney draughtsman Art Babbit. She arrives, watches the paintings, asks for photographs. And then she goes silent until the mid-1990s in order to demand the return of the originals. Who owns the portraits? The woman who made them? The portrayed Roma prisoners, treated as a model for the representatives of a sub-race? Or maybe the Auschwitz-Birkenau Concentration Camp Museum, meticulously documenting crimes against humanity? Cristina Godun, who translated Watercolours, is one of the most respected translators from Polish into Romanian. She has translated books by Andrzej Stasiuk, Olga Tokarczuk, Witold Gombrowicz, and Szczepan Twardoch, to name a few. 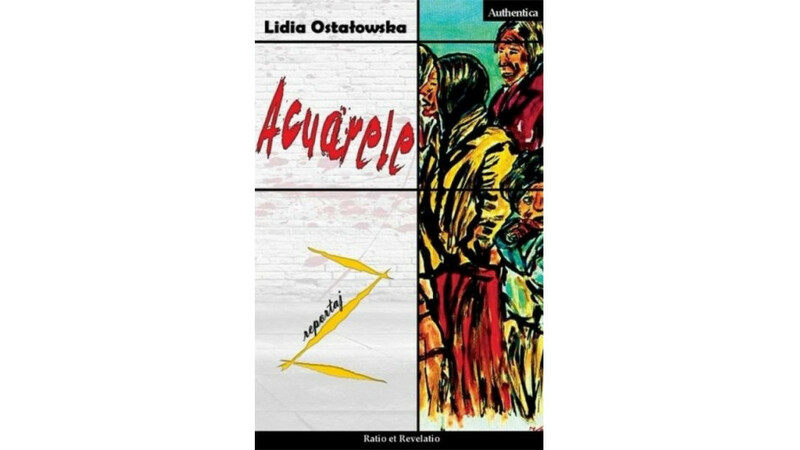 In recent years, the Book Institute has also supported the translation of Lidia Ostałowska's books into other languages. Thanks to the Institute, a collection of reportage Cygan to Cygan (‘A Gypsy Is a Gypsy’) was published in Czech, Romanian, and Slovak, whereas Watercolours was published in English, Czech, German, Ukrainian, and Hungarian.